In a few days, it’s going to be like the Arctic Tundra here in Michigan. Snow is on the way, and temperatures are going to drop to -10 to -20 degrees with the wind chill. So why am I smiling and dreaming of cucumbers, tomatoes and kale? Because I’ve been planning out my Spring garden! Planning out your spring garden during the winter is a great way to beat the winter “blahs”. But there’s a far more serious reason why we need to be ordering our seeds right now. Due to the economy, and the millions of additional people that have been forced to grow their own home vegetable gardens to feed their families, seed growers are seeing off the chart demand for their seeds. And, most commercial farms have increased their seed orders by 20% or more to keep up with demand (since more people are buying food from farmers’ markets now, they have to keep up with demand by planting more). That, coupled with a poor growing season in 2009 means that many distributors are already running low on seed. And it’s not even spring yet. Some growers have even said that at this pace, they’re expecting to start running low the third week of January. Especially for popular plants like tomatoes and peppers. 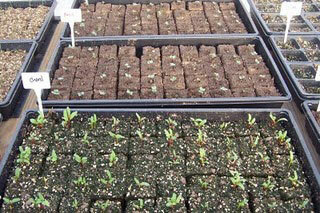 By March, when most people start ordering their seeds, things will be very tight. What does all this mean for us? It means that we should all start planning, and buying, our springtime seeds right now. Unless we want to pay higher prices when supplies get low in the Spring. A Garden-Lovers Discount- 10% Off at Hometown Seeds! Many of you may remember me writing about the survival seeds from Hometown Seeds last year. The company sent me an amazing survival seed blend, which I used in my own garden, and they sponsored a great contest here at The Greenest Dollar. I harvested many of their seeds throughout the last year’s growing season for this year’s garden, and aside from my own planting mistakes, I was really impressed with how hardy the seeds were. Scott with Hometown Seeds is offering a wonderful 10% discount through my good friend Alex’s blog, The Bubba Effect. But, readers here at The Greenest Dollar can use it too! The coupon code is “BUBBA”. It’s good from now until the end of 2011. No joke. Use that code and you’ll get 10% off anything at Hometown Seeds. Scott, you rock! I’m in no way affiliated with Hometown Seeds. I like supporting them because they’re a generous company, and they sell top-quality seeds. I’m definitely going to be using that code myself to buy another monster pack of survival seeds. My plan is to create a community garden in my new neighborhood in Detroit, and I’ll definitely need the extra seeds to get that going! Yeah…seriously cool. This tool will also save you money because you won’t have to buy peat pots, or mess with egg cartons or anything else. Because the soil is compacted, it forms its own little cube for your veggies to take root in. This handy tool is on sale right now through the end of the December for $18.95. Want to speed up your seed starting this year? 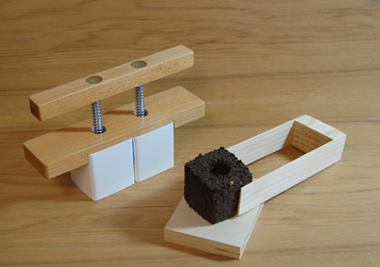 Try a Soil Cube. Are any of you buying seeds right now for your Spring garden? If so, what are you going to be growing? I’m going to grow a lot of beans. A LOT. Why? Because I started canning Dilly Beans last summer and they turned out amazing. I’m down to two jars, and I’m really, really sad about that. Next summer, I’m going to can every bean I grow because they’re so darn delicious. I’m also planning to try cucumbers again (I had a massive cucumber fail last spring) as well as several varieties of tomatoes now that I have the sun to support them. But by taking charge of the situation, you’ll hedge your family against “grocery store banditry” and enjoy wonderful, homegrown produce at half the cost! That backyard insurance policy will pay off! 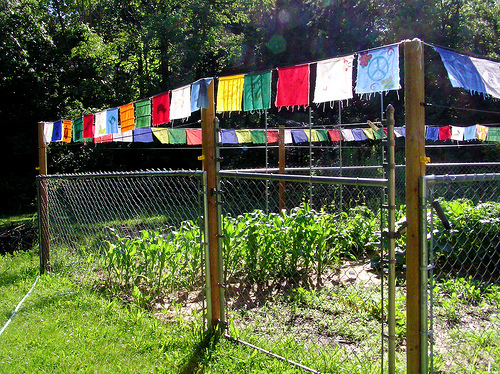 And better still, you get to collect on it, every time you step out into your yard. Thanks a million! I just checked out Hometown and their prices are really great. I can’t wait to plan next year’s garden! Green beans and carrots are our big seed order this year along with fingerling potatoes. Our cantaloupes and green peppers outdid themselves this past summer along with the pumpkins, we plan on growing them again. Can’t wait for fresh lettuce and new radishes. I love that soil cube tool and will definitely be buying one to use in a couple months. Thanks for sharing the info!